Content marketing is a staple in every successful business’s campaign strategy. For years, content marketers have published blog posts, long-form articles, white papers, ebooks, and other valuable bits of content to attract new leads and engage with current clients, with significant returns on investment (ROI) across the board. However, there’s a new trick in the content marketing field that’s proven to generate leads and boost conversions: content remarketing. Content remarketing is a landmark for simple techniques. It’s a straightforward idea: business owners track users who visited their websites but didn’t create a lead. These users are later retargeted and sent content with the hope of regenerating interest. Marketers also refer to content marketing as behavioral remarketing, since it’s online advertising that targets consumers based on their previous actions on the internet. Marketing budget ROI. Remarketing extends the conversion funnel to visitors who are best qualified to make purchases. This increases the lifespan of budgets spent on driving traffic to a website. Increased brand awareness. The more you put your brand out there for the world to see, the more people will talk and think about your company. Re-displaying advertisements to new prospects improves brand awareness and increases the likelihood that they’ll see and share your content. Customized targeting capabilities. 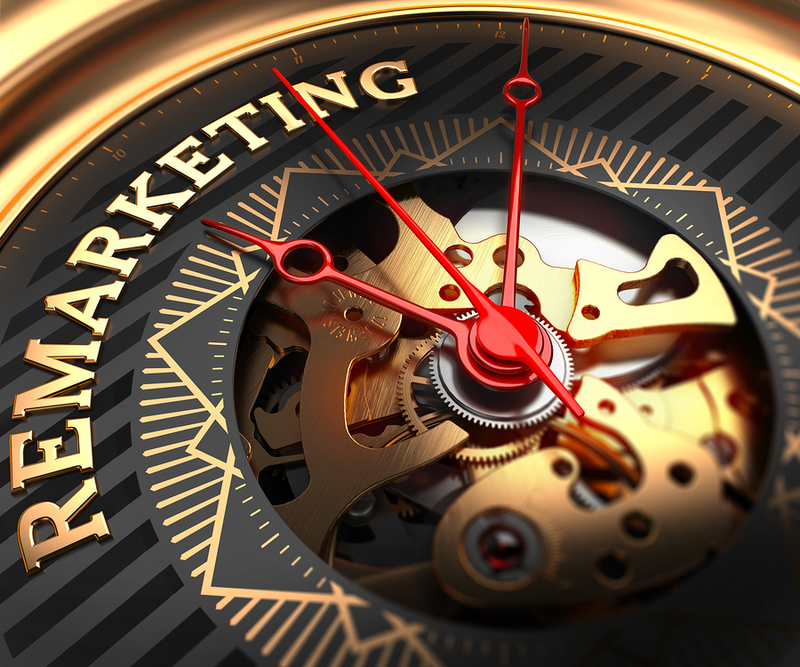 Remarketing gives brands the opportunity to tailor advertisements to meet the exact needs of a user who’s already inclined to make a purchase. This boosts the chances of users returning to your site to finish what they started. You probably have experienced content remarketing. If you browsed the internet for a pair of Doc Martens, for example, but didn’t make a purchase, you may encounter the same pair of boots advertised on your social media account or another webpage. This is a reminder for users who didn’t convert and may rekindle the interest that originally brought them to your site. The ultimate goal of content remarketing is to bring escaped leads back to your site—ideally to make a purchase. Content remarketing combines the concepts of maximizing your content’s reach and increasing user engagement. It’s a reminder to users to complete an action they had begun, a fresh piece of content that will influence the buyer decision, or a simple hello from a company they previously expressed an interest in. Instead of letting leads slip through your fingers, give them a gentle push in your direction—be it while they check emails, watch YouTube clips, or browse the news. When consumers shop in a brick-and-mortar store, they don’t always have the opportunity to return for a product they left behind. The item may be gone or discontinued by the time they return. Content remarketing gives online shoppers an easy opportunity to return to a previously explored item, making the purchase before they lose the chance for good. For businesses, this means recovering sales they would have otherwise missed. A prospect visits your website. Your site drops a tracking cookie on the prospect’s browser. The prospect leaves your site without making a purchase or following through on a call to action. The tracking cookie follows the prospect as he or she continues to browse the web, using banner advertisements for your brand, product, or service. Your banner ads entice the prospect to come back to your site and complete the purchase, effectively turning the prospect into a lead or customer. By remarketing your content with audience-specific banner advertisements, you give your brand a second (and third and fourth) chance to connect with the escaped prospect. Often, your advertisement serves as the perfect push for the user to go back for a product he or she regrets not purchasing. Now that you understand the what and why of content marketing, it’s time to understand the how. Google offers a variety of tools that make remarketing easy, such as the Google Display Network (GDN). The GDN lets business owners display text, image, and video ads on websites that are relevant to your industry. It also lets you track consumers, campaigns, and the results of your efforts in real time. The GDN has over two million sites in the network, making it the widest net you can cast on the internet to reach your audience. It also has mobile ad capabilities, meaning your banner ads can make an appearance while users engage with games and apps. This gives you a great deal of reach and a plethora of opportunities to capture user attention. Simply sign up for GDN and follow the welcome steps to tailor your advertisement campaign. First, define the specific audience for your remarketing campaign. This can be people who visited your blog, browsed your product page, or read more about your pricing. Identifying where on your website you lost certain users allows you to tailor your message specifically to them. Then use Google AdWords to create a new remarketing list. You can find this under “Shared Library” and then click “Audience.” Just specify which visitors you want to include, and Google will do the rest for you. Google’s tools for remarketing are relatively self-explanatory and can put you on track toward content remarketing in no time. However, one network the GDN doesn’t include, notably, is Facebook. If you want to reach an audience through the popular social media platform Facebook, you must use a remarketing outlet other than the Google Display Network. Advertisers have used the Facebook Exchange Ads tool, but this feature will no longer be available as of November 1, 2016. Facebook offers an alternative to this tool, directing business owners to its Remarket to Website Visitors page instead. This tool allows you to make custom advertisements to remarket to people who visit your website, running the ads on Facebook. It also lets marketers target people who are similar to those visiting your website using a tool called Lookalike Audiences. This builds new potential customers and prospects. Remarketing on social media offers a range of benefits, such as engaging with consumers in a friendly way and targeting a specific demographic that uses each platform. Google Display Ads enables you to market to YouTube, a channel with more than one billion active users worldwide. Second only to Google as the world’s largest search engine, YouTube presents an excellent opportunity for marketers targeting all kinds of audiences. If you’ve published video content, remarketing on YouTube is a must. YouTube users can click on your videos, subscribe to your brand’s channel, or view in-stream ads. Remarketing on YouTube targets viewers based on their engagement with your video content, including those who visited your channel, viewed your videos, liked/disliked videos, or left comments. Creating a successful YouTube remarketing strategy is easy once you link your Google AdWords account to your YouTube account. You can create a video remarketing list, design a brand new ad campaign, and spread your ads throughout YouTube in just a few steps. Content remarketing offers a host of opportunities for your brand to further its impact, increase outreach, and turn prospects into lifelong customers. Content marketers are seeing real, measurable results from remarketing campaigns as advertisements rekindle a user’s interest in a product or service. Start your journey toward a more profitable business by trying content remarketing for your brand today. This is a lovely article, Stephen. I think that conversions can certainly be boosted by using video remarketing and video retargeting campaigns. I have a fast-food little store that I am market on the Internet. I have gotten a company to help me with some design concepts, and so far so good. I’ve also heard that boutique agencies can do a great job. I’d like to know if you have any experience or knowledge of a company known as Treepodia as I’m quite impressed with their range of offers. I would just like to reply to Paul Blithe’s comment on this thread from January. I too decided to try out a few different companies and his suggestion of Treepodia was actually a very good choice. I was impressed with the quality of the service provided by this company and the results that were generated through their video remarketing campaign. Our company experienced strong ROI and high retention of customers. We were able to convert an additional 10% of our viewers into paying customers, which at our volumes is substantial. Could those on this article Stephen well written.